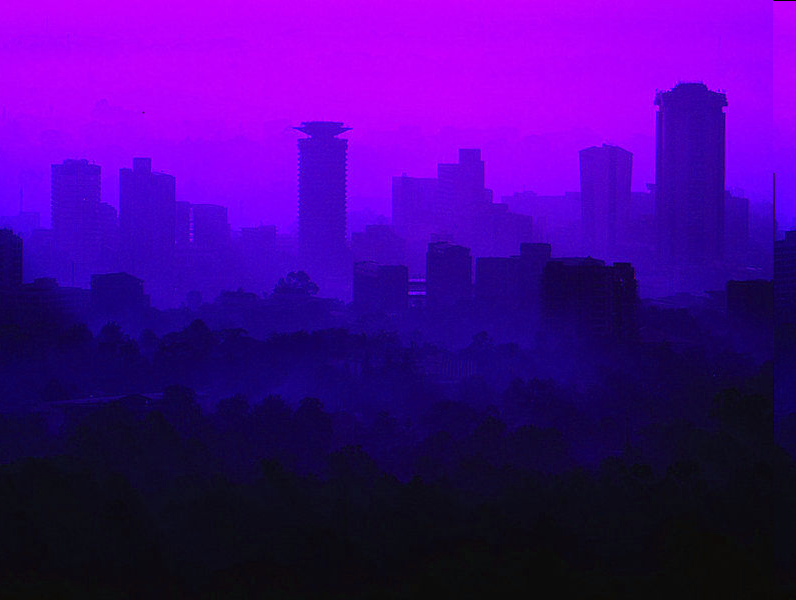 A typical morning in Nairobi begins at 4:00am. If you live in the eastern side of the city commonly referred to as Eastlands, this includes estates such as Donholm, Komarock, Kayole and Buruburu, you may be woken up at or around this time of dawn by the sound of motorbikes commonly referred to as “boda boda”, driving off to begin their day’s activities. It is believed that most of the drivers and employees in the transport industry and most of them self-employed in the boda boda business live in the estates in Eastlands. If you reside in the northern, western or southern part of the city, your morning may typically begin a little while later as it is believed that these areas are much quite. People begin to gather at the “stage”, a word used to describe the bus stop, at around 5:00 am and sometimes even earlier. The people at the bus stop at this time are normally people who need to get to the marketplace early and people who need to get into the CBD (Central Business District) before the traffic begins to pile up. Most buses and “matatus”- a word used to describe mini-buses, are still retired for the night at this time; some begin operations as late as 6:30am. It is at this time that the bus stop begins to fill with people as the sun begins to spread its golden rays bringing with it freshness and jubilation. The liveliness starts to spread as the “matatus” begin to add up at the bus stop ready to ferry passengers into the CBD for their respective activities. On the road, traffic begins to pile up around 8:00am and 8:30am as this is the morning rush hour. This, however, does not last long, you will be in the CBD in as short as thirty minutes or one hour depending on which side of the city you reside. Normally Nairobians living in the eastern part of the city take up to one hour to get to the CBD. This sometimes may be doubled in the event of a major accident but the traffic police work fast enough to clear up the roads. If you reside in the other parts of the city, it may take you between thirty minutes to two hours and this is highly dependent on the factors that I have elaborated above. Traffic is not much of a concern; however, if you have got to be somewhere early it is advisable to leave early. By 9:00am most of the roads are cleared up and traffic flows a bit smoothly as compared to the early morning. Most of the people are either reporting to work, reporting to school or simply opening up their businesses in the city’s CBD. This is the most important part of the day. This is the time when most business takes place and this is the time that most meetings are held, appointment delivered and learning sessions take place. Most of the Nairobians are really fresh at this time of the day and service or product delivery is believed to be delivered best at this time interval therefore most people make sure they are in the CBD before or during this time either at a bank, a super market, an electronics store or a boutique. If you missed your breakfast in the early morning, this would be the time to compensate and get back on track. Most students as well, from the universities in the capital such as University of Nairobi and Daystar University and other colleges take their tea breaks in between this interval mostly around 11:00am. Most shops, hotels and restaurants are open and running by this time therefore it is very convenient and easy to find a place to have your late breakfast or tea during your break. Java is a prominent coffee shop situated in the CBD, you may have to walk just a few blocks from your office or classroom to the coffee shop at the same time taking in the fresh air and the bubbly atmosphere. There are some favorite tea break menus for instance: mandazi, which are vaguely like beignets, in that they’re sweet fried dough with an air pocket in the middle; kaimati, a large sweetish fried dumpling or egg either scrambled or boiled, bananas, a fruit salad or a cup of “chai” – loose tea is boiled in milk, or a milk-and-water mixture, sometimes with some added ginger or cinnamon but generally not, and then strained and served with lots and lots of sugar. This is certainly not limited, you can have absolutely anything, if you take the time to look and you will definitely find it. For food businesses, this is the most important part of the day. Clients more often than not fill up many of the restaurants and hotels in the CBD. If you own a car you may have the privilege to move somewhere else for your lunch, some of the places may include Fago Gaucho in Westlands on the western part of the city. Other places may include T-mall along Langata road, south of the city and Thika road mall north of the city. If you are lucky, your company may provide a meal at this time of the day at the company canteen but I must say there’s not much exploring in that. Other options in the CBD may include Steers, a popular joint with college and university students, however, it is regarded as a bit expensive but the prices do not deter the clients from streaming in especially on Wednesdays when offers such as Wacky Wednesdays may not guarantee you a table inside the restaurant. Burger dome is regarded as the ideal joint because their prices are pocket friendly and the food is amazing there. Other such restaurants include, Tratoria and garlix that serve local and foreign dishes. If you are in the mood for a quick snack then Pizza in or Debonairs would be the right match for you, this not only for their great prices but also for the great offers such as Terrific Tuesdays where you get a buy one get one offer on pizza. Lunch time is not only filled with eating activities. Some opt to take a game drive that may last up to thirty minutes. The Nairobi national park is just a short distance from the CBD where you would get a glimpse of wild animals such as Lions, Giraffes, Buffalos, and birds as well. If you fancy a walk, then Uhuru Park, just along Uhuru highway, may be the best option for you with the greenery and the cozy benches to relax on and the great scenery of the fountains. Lunch time is like the fun part of the day. This time of the day may at times seem slow to many Nairobians especially to students who may be attending lessons in and around the city, but the time is certainly made short by engaging in fun activities. In case you do not have to return to work, you may enjoy a few places in and around the CBD. One of these places would be the Nairobi Safari Walk. This is a stretch of fenced forest that has trails that indulge you into the wild. You may be able to see a number of animals up close and get to learn about some of the animals that roam the Kenyan lands. You may also opt to go to the zoo or the national museum both of which are situated just a short distance from the CBD. 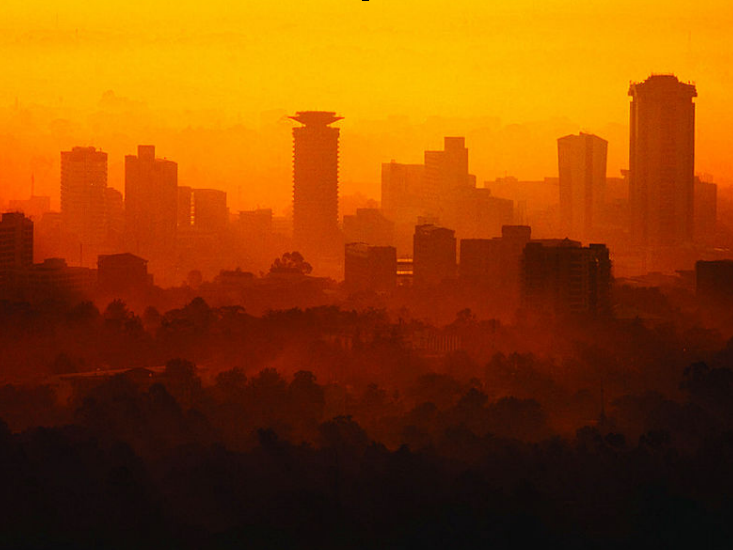 It’s certainly an ideal time of day to explore Nairobi. At around 4:00pm and 6:00pm, a few businesses start to close up for the day while a few more gear up for the night this include hotels and restaurants that serve dinner and night clubs. By this time “matatus” start filling up the bus stop as students and workers begin to close up businesses and head for home. You could opt to catch up on some quick shopping at several supermarkets that are situated in the CBD before you head home. Some of the best supermarkets are Nakumatt, Tuskys, Naivas, Ukwala and Uchumi. All these are situated strategically so it is hard for you to miss any one. At the bus stop, around 5:00pm, it is evening rush hour and the sun is setting fast as the bus stop begins filling up. The prices at this time are reasonable and you may experience some traffic on your way home. If you leave now, you may get home by 6:00pm. Around 6:00pm, the sun is already setting and you begin to see the glamour of the city and it glitters like gold but you have to leave now if you do not wish to spend the night. Night fall sets in and the moon lights up together with all the lights around 7:00pm. If you are caught up in the CBD at this moment you will probably have dinner there. There are a lot of joints that would come in handy including The Sarova Stanley, which is in the heart of the CBD along Kenyatta Avenue. If you would like to visit a night club you would probably consider visiting Skylux lounge which is in Westlands, west of the capital. You will have an amazing time there and get to meet amazing people from all nationalities. You may also be interested in Sylk which is just opposite the nation centre along for a karaoke experience. At this time, most of the activities in the town are almost shutdown the “matatus” are in for their last trip of passengers and then retire for the night and the lively city may once again rest for a few hours before the following morning. There are of course a few 24 hour services in and around the CBD and the surrounding estates for instance a few supermarkets such as Nakumatt Ukay and Mega offer 24 hour services including some fuel stations. After this time, Nairobi sleeps again in wait of the following day and do it all over again but in a different way. Posted in Samy's Travel Article - fresh from the new travel world and Tagged Africa, Ali B., Buruburu, Donholm, Kayole, Komarock, matatus, Nairobi, National Museum Nairobi, Westlands.